Board up Services are offered to residential, commercial, industrial and municipal customers. Whether it is a small patio board up or a large multi-complex commercial building, RCF has the team that can handle the job. ​Why do people need to Board Up their homes or businesses? 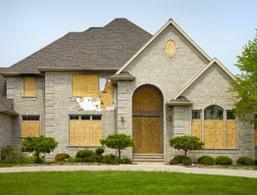 Boarding up your home can prevent intruders or thieves from entering your home. It could also be a liability from someone unknowingly entering your home and getting injured.